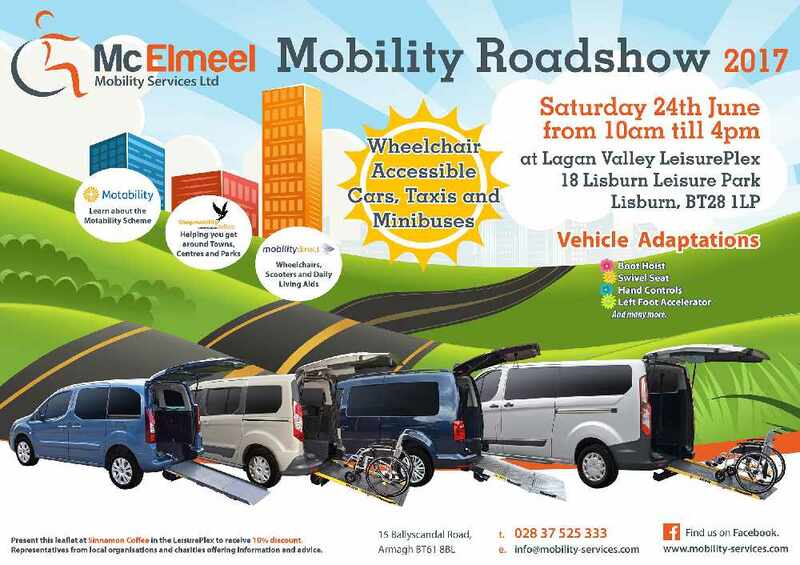 Join us this Saturday 24th June for the McElmeel Mobillity Services mobility roadshow from 10am - 4pm at Lagan Valley Leisureplex, Lisburn. The McElmeel Team will be showcasing a great selection of Wheelchair Accessible Vehicles, a fully adapted car, Minibuses and Taxis. Mobility Direct - NI Ltd will be offering new and ex-Motability wheelchairs and scooters to purchase on the day or to arrange a home demo with and Shopmobility Belfast will be there to explain this fantastic scheme, you can join up on the day and inquire about joining their team as a volunteer. McElmeel Mobility Services is one of the UK’s and Ireland's leading suppliers of wheelchair accessible vehicle's and vehicle adaptations for disabled drivers and passengers. If you are considering an adaptation to your vehicle or a wheelchair accessible vehicle (WAV) through either the Motability Scheme or privately, McElmeel Mobility Services will expertly and impartially advise and assist you in making the perfect choices to help meet your special motoring needs. McElmeel Mobility Services have an extensive and ever-changing range of new and nearly new vehicles. 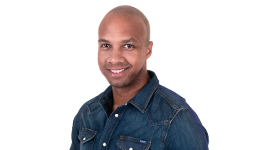 They offer a free, no obligation assessment, at our premises or at your home, we will demonstrate the vehicle and on production of a full driving licence, offer you a test drive in the vehicle of your choice. To find out more about the McElmeel Mobility services, visit here.